BREWER, Maine (NEWS CENTER) - State police say a meth lab was discovered in a Brewer hotel Thursday. MDEA agents say 30-year-old Erica Hodgdon has been charged with unlawful trafficking in methamphetamine. The Maine Drug Enforcement Agency responded Thursday to a methamphetamine-related incident at the Vacationland Inn on Wilson St. in Brewer. Officials say the motel's cleaning staff made the discovery Thursday morning inside one of the motel's rooms. The MDEA meth lab team responded at mid afternoon and confirmed the finding of an active meth lab. Steve McCausland, Maine Public Safety Spokesperson, said the woman who had rented the room was arrested earlier by Brewer police on an unrelated charge. MDEA is expected to level meth related charges against her, as soon as Friday, said McCausland. (NEWS CENTER) -- The man allegedly responsible for a New Year's Day drunk driving crash that killed his passenger, 37-year-old Elizabeth Horlieca, has been sentenced to three years for the accident. LINCOLN, Maine (NEWS CENTER) - Southern Maine got the early brunt, Eastern Maine was up next on the rainstorm parade. The storm caused issues for commuters throughout the day on Wednesday. The entrance to WalMart on West Broadway in Lincoln resembled a small river rather than an entranceway. There was at least a foot of water causing difficulty for drivers to make their way through. LINCOLN, Maine (NEWS CENTER) - The CEO of Lincoln Paper and Tissue announced the company has filed for bankruptcy. Keith Van Scotter said the company has filed bankruptcy protection under Chapter 11 in the U.S. Bankruptcy Court for the District of Maine and is looking to sell the mill within the next 60 days. "Because we've been marketing the business for a while and looking for new investment we think this can and will go quickly," Van Scotter said, adding that LPT has negotiated financing with a debtor that will allow them to continue business during the process. "Obviously I think people are concerned but I think the message is people are going to continue to get paid. We're going to continue to operate and we're going to make every effort to make sure this goes forward as a going concern," he said. 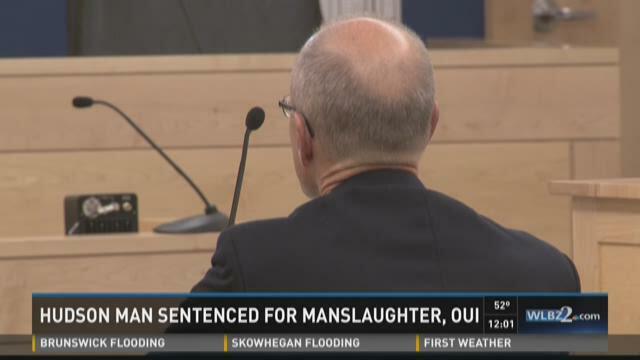 BANGOR, Maine (NEWS CENTER) -- Shawn MacNevin, the man allegedly responsible for a New Year's Day drunk driving crash that killed his passenger, 37-year-old Elizabeth Horlieca, plead guilty to manslaughter and aggravated OUI in a Bangor court Thursday morning. Police said 42-year-old Shawn MacNevin was driving on Finson Road on Jan. 1 when he crashed the vehicle into a tree. The passenger in that crash and MacNevin's long-time fiance died as a result. According to the Medical Examiner, Horlieka died of a broken neck. Deputy District Attorney, Mike Roberts, says MacNevin had three OUI's in the 90's. 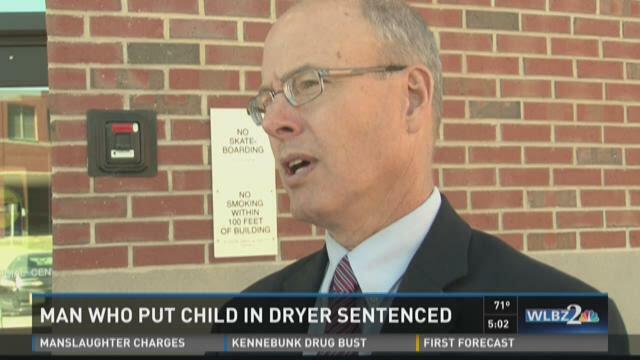 BANGOR, Maine (NEWS CENTER) -- A New Hampshire man, charged with aggravated assault after allegedly placing a 2-year-old boy in a dryer and turning it on, has been sentenced to three years in prison.